As our closest neighbour, the U.S. is, time-after-time, the most popular destination for Canadian travellers according to Kanetix.ca. However, if you want to look beyond the U.S. to get away from Old Man Winter this year, we turned to the experts—travellers who compared travel insurance quotes—to see which other popular destinations might make a good trip to shake off winter's chill. From the tried and true to the exotic, this list has something for everyone looking to take a break from the snow, slush and cold that comes with a typical Canadian winter. With more than 450 beaches, Mexico is a haven for beach lovers, and the weather in January and February isn't bad either. Whether it's Cancun, Cozumel, Acapulco, Playa del Carmen, or Puerto Vallarta, you can bank on the temperatures to keep you toasty. A favourite of Canadian travellers, Cuba is rich in culture and history. It's also well-known for its cigars, rum, beaches and of course, music. There are also nine UNESCO World Heritage sites to visit, more than any other Caribbean island. 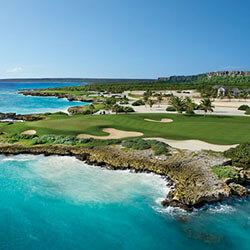 If you like to spend as much time on the beach as you do the golf course, the Dominican Republic is worth considering. With more than 400 kilometres of beaches, the country also labels itself as the #1 destination for golf in the Caribbean and Latin America. While it's winter here, it's summer in the southern hemisphere making December through to February the ideal time to go to the land down under. It's a big country and a long trek, so you'll want to make sure you've set aside sufficient vacation time to take it all in. Did you know? If you're relying on the travel insurance coverage available through your credit card, you'll want to review the policy to ensure you're covered for the full duration of your trip, as some card's policies limit how long you can be away. For example, if you're going on a long trip—even just two or three weeks—you may find you're without coverage after 15 days of travelling. It will vary by card, so it's best to go over your card's policy details before you embark on your trip. Although Thailand's cool season runs from November to February, by Canadian standards it's still hot with an average daytime temperature of 26°C. 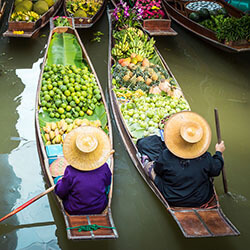 Certainly warm enough to take in the floating markets, temples, palaces, wildlife reserves, islands, and of course, beaches. The best time to visit most parts of this vast country is during the "cooler" but dry season, typically between November and March. Often described as vividly colourful, there's no way you can see all of India in just one trip but its history, culture, architecture, cuisine and geography will leave you wanting more. Picked as the #1 island in the Caribbean by Trip Advisor, and the third best island in the world, Jamaica has a unique vibe that is all its own. Well known for its music, cuisine and white sandy beaches, you can rely on a winter vacation to Jamaica to be warm and sunny. If the idea of dipping your toes in the Pacific and in the Caribbean on the same day appeals to you, then this lush country, with beaches, volcanoes and rainforests, will not disappoint. It takes just three hours to travel from coast-to-coast by car. Comprised of more than 7,100 islands, the Philippines boasts more than 15,500 kilometres of beach. As a result, no matter where you travel to within the country you're never more than two hours away from a sandy oasis. With an average annual temperature of 25°C easy access to a beach will be appreciated. It's been said that one of the hardest things about travelling to South Africa is deciding on what to do; not because there's nothing to do, but because there's so much. 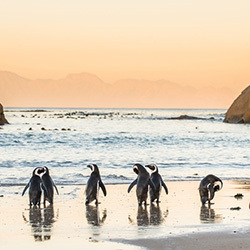 From wildlife safaris to city life to sun-soaked coasts, choosing an itinerary will not be an easy task. Whether your winter getaway involves a flight that takes just a few hours or a day, know you'll be covered wherever you land. Before you head out on your next adventure, compare travel insurance quotes for the coverage you need at the best available price.